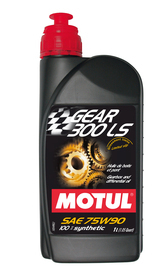 100% synthetic lubricant for all high performance mechanical transmissions, transaxles or axles requiring gear oil. For synchronised or non syncronised gearboxes, gearbox/differential, transfer cases, and hypoid differentials with plate or cone type limited slip systems. No additives required for limited slip differentails.